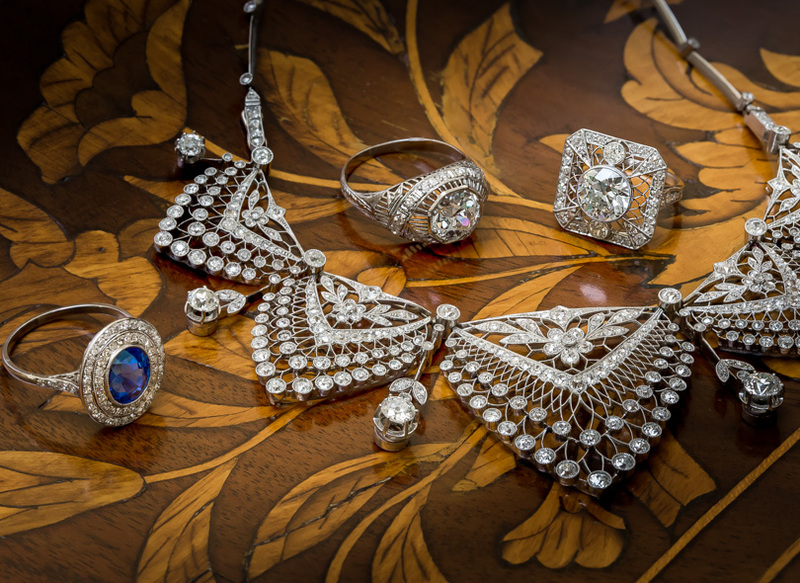 A tantalizing trio of bright and shining European-cut diamonds, together weighing .90 carat, sparkle from within strikingly distinctive hexagonal settings in this neoclassically influenced original Art Deco dazzler, artfully designed, die-struck, and hand finished in gleaming 18K white gold - circa 1920s-30s. The maker's mark indicates by Untermeyer and Robbins. Currently, ring size 6 1/2. Carat Weight: 0.45 carat Because mountings prohibit full and accurate observation of gem quality and weight, all data pertaining to mounted gems can be considered as approximate unless accompanied by an independent laboratory certificate (AGL, EGL, GIA). Unless otherwise stated, all colored stones and pearls are assumed to be subject to a relatively stable and possibly undetected color and/or clarity enhancement.